For the majority of us, we spend most of our waking lives at work! Having fresh fruit and healthy snacks readily available to staff encourages healthy eating at work. Staff that are on the road all day can grab a banana or an apple before they leave their depot. A no food policy at desks can help to prevent over eating and encourages staff to use the canteen or kitchen. Hydration is vitally important too! Having drinking water dispensers available in the workplace will promote hydration. Make sure you have plenty of water available in meetings too as this will help reduce tiredness, headaches and sluggishness! The ‘Sitting Disease’ – sitting for long periods and leading a sedentary life is not good for our health. It can cause pain, reduced energy, heart related illness and can slow down the metabolism! Encourage walking meetings or lunchtime walking groups, great to be social, take in fresh air and get staff moving! Encourage staff to take a break from their desk every 40-60 minutes, for example, take the stairs, do some stretches or introduce standing desks! Being physically active can also help to combat stress! The working environment is not just the physical surroundings that you work in but also covers the physchological aspects! So have a clutter free space with good ergonomics; lighting, clean air, low noise, fresh plants, drinking water and fresh fruit are all fairly obvious things to help with the physical aspects of a working environment. Make sure your employees enjoy coming to work; making them feel valued and appreciated is vitally important to keeping them motivated. Step 4 and 5 continue on this theme. Creating a culture that values individual team members is a key aspect of wellbeing. Encouraging managers, leaders and co-workers to recognise the efforts of staff can impact hugely on motivation, helping them to feel appreciated and satisfied in their roles. And this is so easy to do – a simple thank you verbally, or by email or at a team meeting can all help towards making a member of staff feel valued. Laughter generates endorphins, the feel good hormone that is a natural antidepressant! Many may feel that laughing in the office sends out the wrong signals that employees are not working hard enough or don’t have enough to do. However, laughing together improves team collaboration and positivity within the workplace. “Laughter is a subconscious signal that we’re in a state of relaxation and safety” says professor Sophie Scott from University College London. Laughter has been shown to improve ideas and puzzle solving; Researchers Mark Beeman and John Kounios found people who laughed at Robin Williams comedy clips were better at solving puzzles! Introducing some team building exercises can be as simple as an office challenge. Wellbeing People recently participated in the One You challenge at work where each member of staff gave themselves a challenge such as doing the plank, burpees, stretches etc for a minute or more. So each day for a month, we picked a time to carry this out. It was a huge success, not only bringing some activity into the office but also fun, laughter and bit of healthy competition! Good communication maintains strong working relationships and is so important to help employees operate effectively, be acknowledged and feel satisfied at work. Employers who invest time and energy ensuring there are clear lines of communication for employees to freely interact with their colleagues and superiors, will build trust among employees as they will feel they have a voice and are listened to. Listening and showing empathy displays respect and gives the employer the opportunity to address issues that otherwise may escalate. Having compassion, respect and understanding is so important when employees face challenges at home such as illness, accidents, tragedies etc. Treating staff well will reap rewards in the future as they usually will go above and beyond to return their gratitude. Employee assistance programmes are also invaluable as they give employees the opportunity to address their issues away from the workplace, keeping their anonymity and dignity. This also helps to free up management time and offers support as some employers do not have the right knowledge or experience to deal with certain issues. Offering onsite employee massages has a positive effect on both the body and mind. 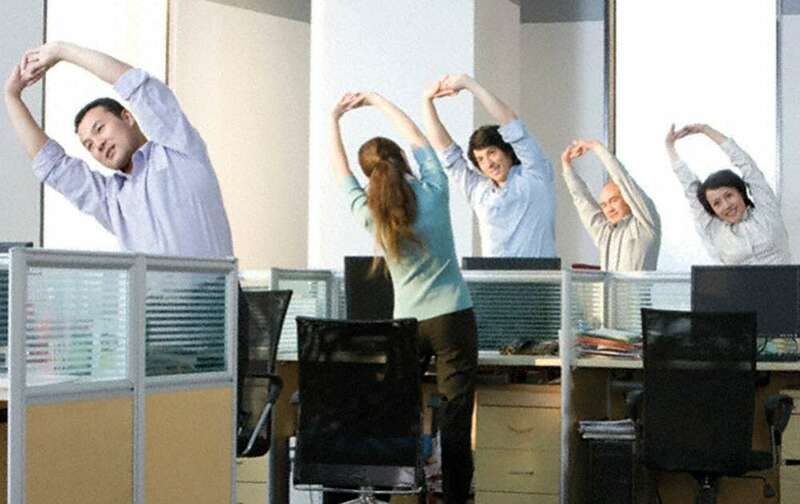 Relaxation, balance, posture and flexibility, promoting healing, reducing tension and pain, are all preventative measures to reduce workplace stress, re-energise staff and improve productivity. Onsite massage is carried out through clothing in a massage chair for around 15-20 mins (so no awkward de-robing or getting sticky with oils!) Our physical and mental wellbeing are very closely linked; massage can even help reduce high blood pressure and heart rate, relieve anxiety and improve sleep. As we have already discussed, helping your staff feel valued is to show you care about their health and wellbeing. Introducing a wellbeing strategy is paramount to cutting absenteeism and increasing productivity. This can be a daunting subject. First of all, you will need management buy-in, employee absence data and demographic research to see what improvements need to be made. Once identifying your aim and what you need to achieve you can then look at what will work for your company. This will include budget, site locations, what wellbeing initiatives will work for you and then how you are going to launch and deliver the programme. Wellbeing People can help you to build a wellbeing programme and give you suggestions on how to achieve your goals. Giving employees and individuals the right tools, information and opportunity to change is vital when encouraging a positive health and wellbeing culture. By engaging your staff in health screenings, physical activities, relaxation sessions and informative workshops, our Health Fairs and Events aim to educate people to make positive choices around their own health and wellbeing. A well planned health fair or event can highlight the importance of good health and wellbeing to employees. Research shows that having a health fair at work can help reduce employee absenteeism, improve work performance, increase job satisfaction and achieve a positive return on investment.